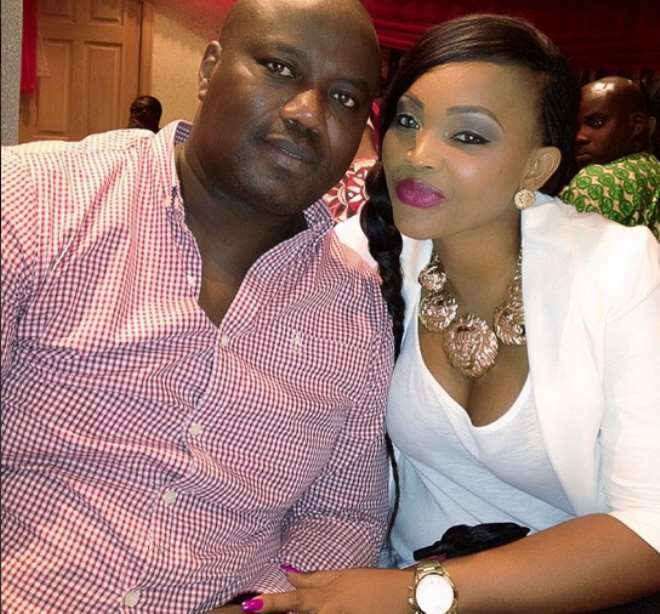 A couple of weeks back, Lanre Gentry, Mercy Aigbe's husband and owner of upscale hotel, La Veronique, Oregun, Lagos, was attacked by armed robbers on Kudirat Abiola Way, Oregun, Lagos, while returning home from work. According to the Ilesa, Osun born businessman, the incident was like a dream. "I can't just explain but all I need is to continue thanking God for protecting me that day. In fact, I would say it takes the grace of God for anybody to have scaled through what I experienced that night. I really thank God that I am still alive. Even for almost four days I was shaking. But I thank God that I wasn't killed and I was not even injured. They only damaged my car. They were five, and all of them were armed. They were between 21 and 22 years. They came in one old Gallant car. They just stopped at the middle of the road suddenly but thank God my car was strong. I drove my Touareg jeep that night. So, being a very strong car, there was no way they could have used their car to chase me, when I outsmarted them. But above all, I give glory to God. Didn't they attempt to shoot you? Yes, they did but God saved me. They even shot at all the tyres but they couldn't succeed in getting me. How did you now escape unhurt? It's only God that can explain that. Were you alone in the car? Yes, I was the only one in the car. That's what I think gave me the courage to move and push their car off the road. May be if another person were to be with me that night, the story might have not been the same. But there was a report that your wife, Mercy Aigbe was with you in the car? No, I was alone. I was going home from my hotel. But after the incident, I couldn't go again. The following day, I had to take the police to Airport Hotel, Ikeja, Lagos, where it was parked. The car was badly damaged, I spent about N500,000 to repair it. I thought the end has come that night when I saw the guys pumping their guns at me. It was like a dream. But something just touched my heart and said, “Lanre, move.” That's how I moved and pushed their car away from the road. That's how they started shooting sporadically. It was when I got to Lagos Airport Hotel that I realized that all the tyres of the jeep have been damaged, and also part of the body. Immediately, I got back to my hotel, I told the Rapid Response Squad (RRS) officials that were stationed there what happened, and we all went back to the scene of the incident. But before we got there, they had all left with their car. Has there been any arrest concerning that? There is nothing like that but investigations are still in progress. And the police have not gotten any clue yet? Do you suspect any foul play from any corner? There was nothing like that. I don't need to be thinking in that direction. I only need to continue thanking God for His mercy and protection.